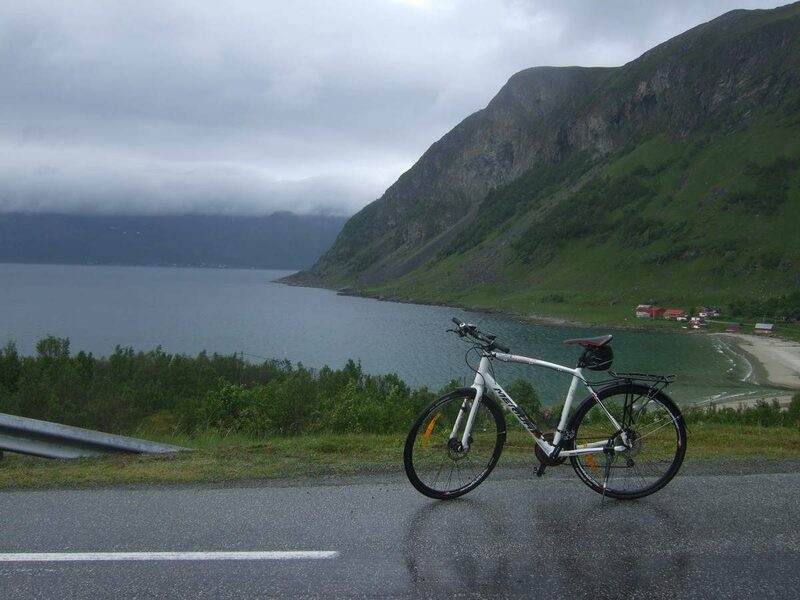 An amazing cycling trip from Tromso to Tromvik along the coastline of fjords in Norway. Snow topped mountains, fjords, forests and the sea create a beautiful scenery. 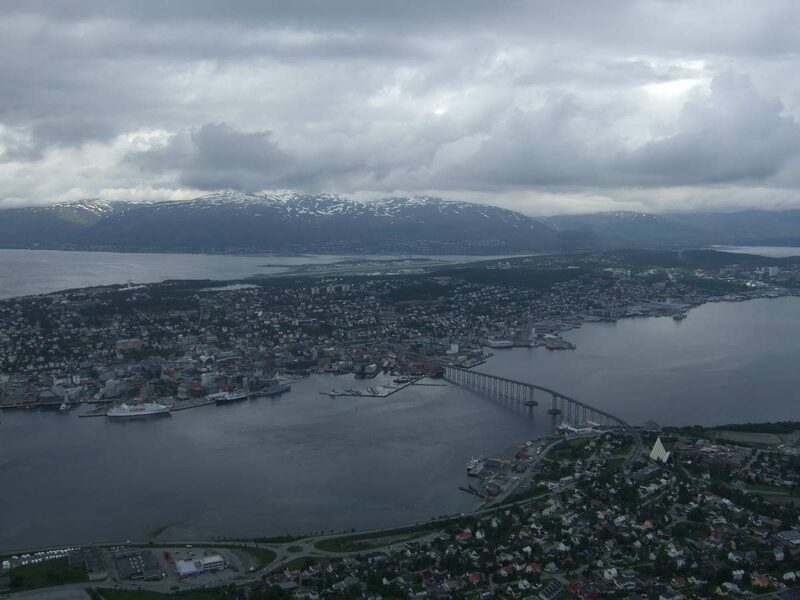 Tromso, a town in Norway above the arctic circle, is situated on an island in the middle of the fjords. The surrounding area is simply beautiful and probably a cycling tour is the best way to see it. The Tromso-Tromvik route goes along the coastline of the fjords until it reaches the open sea to the north. It starts in Tromso, leaves the Tromsoya island to reach Kvaloya island, then passes through Kaldfjord, Ersfjord and Grotfjord before ending in Tromvik. The distance is about 50 kilometers, or 100 if you do a round trip — something highly recommended. Along the route you will ride on cycleways or quiet country roads. Although the route goes on rolling hills, it is an easy one with only one bigger hill. During your journey you will see, among others, fjords, snow topped mountains, forests, tiny villages and beaches. As the weather changes very quickly in this area you should expect rain, sunshine and wind. A small, but gorgeous nature reserve with highly diversified flora and fauna. Quiet, perfect for relaxation, walking and birdwatching. 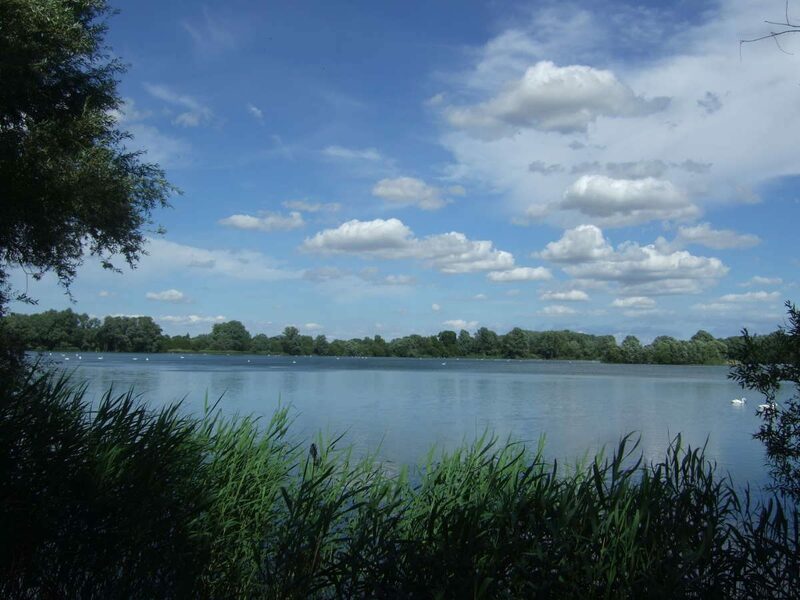 The Fen Drayton Lakes is a nature reserve close to Cambridge, UK. It consists of several lakes, small and big ones situated very close to each other. Also the Great Ouse river flows here. It is actively managed by RSPB. The area is appropriate for plants and animals, so there is a high variety of them. There are reeds, grassy areas, bushes and wooded areas, as well all kinds of birds, fishes, insects and some domestic animals — sheep and cattle. Although it is a beautiful area only a small number of people know about it, therefore it is very quiet and perfect for relaxation. You can easily walk or cycle on the paths and dirt roads around the lakes. There are plenty of maps and signs placed out, so it is impossible to get lost. There are benches and bird watching views at every few hundred meters to rest and enjoy the nature to its fullest. Contrary to other nature reserves it is easily accessible by car or public transport — there is a bus stop and a car park in the middle of it. 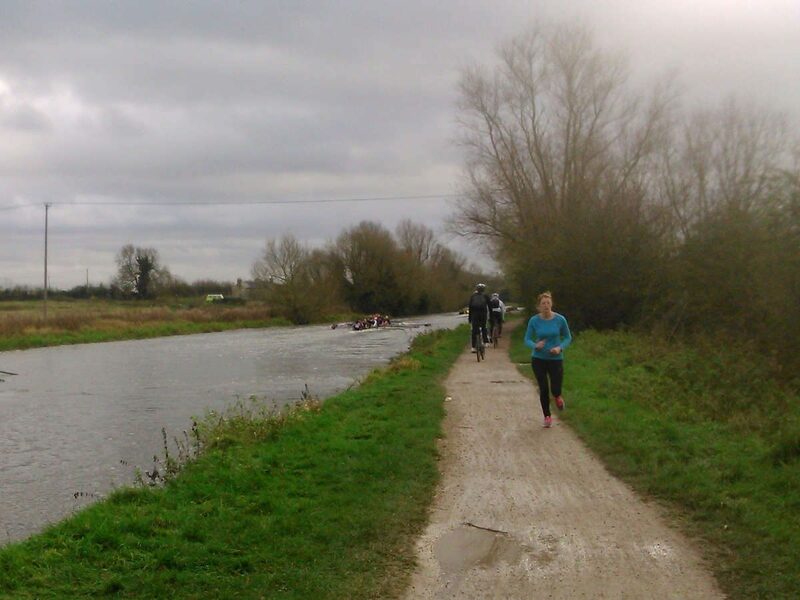 The journey from Cambridge is about twenty minutes. Marathon training is divided into different phases. Understanding the role of these helps creating personalized training plans, thereby training and racing better. Training for a marathon is a long process, it takes a few months. The training plans use different phases to prepare the body for the race. It is good to know what these phases are and what you can achieve by completing them. There are five phases of the marathon training — these also work for any long-distance race. Most of the training plans you will find are 12-24 weeks long, but they include only the middle three phases, leaving out the first and the last one. To successfully prepare for a marathon you need all the five phases. Understanding the role of each phase is very helpful to create or modify a training plan to your individual taste. This way you can improve both your weaknesses and strengths. A personalized plan is always better than a general one. If you want to immerse in the details, read a book about marathon training. 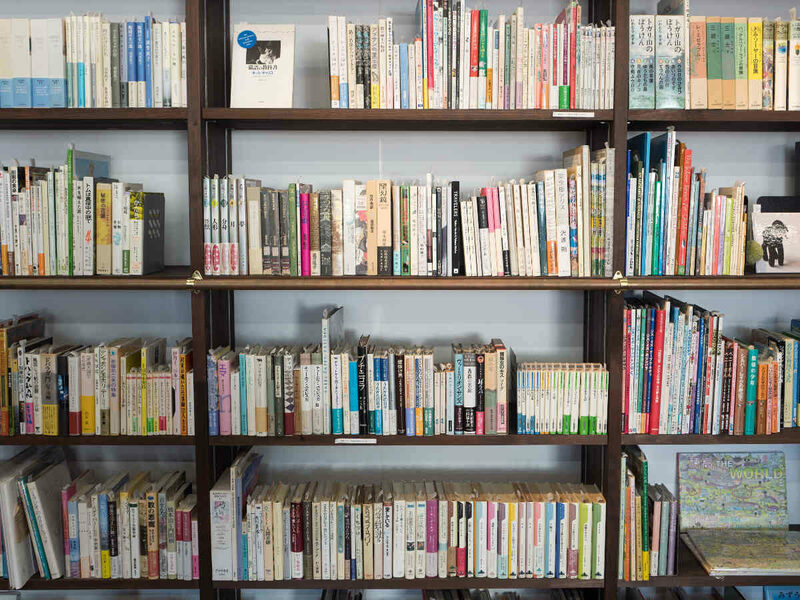 The most popular ones were written by Pete Pfitzinger, Jack Daniels and Hal Higdon. 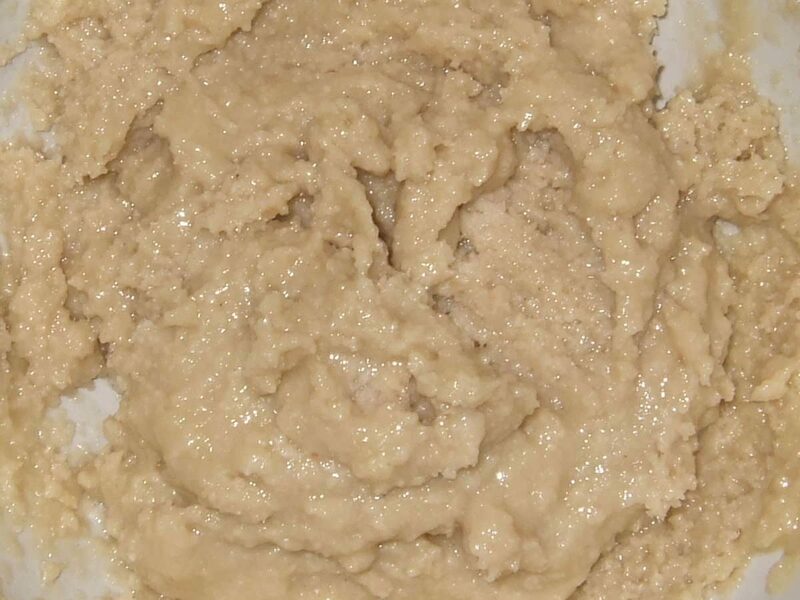 A staple of Middle East, tahini is a delicious paste with a very high mineral content that can be made at home in minutes using one of the healthiest foods. Tahini is a paste originating from Middle East with a very special and unique taste. It is well known as an ingredient for hummus and dips, but it can be used on its own too. It can be prepared at home in a few minutes using only a few ingredients. The main ingredients are sesame seeds, that can be unhulled or hulled, as well raw or roasted. Also you may add water and oil to it, but it is not necessary. There are a lot of different variations of tahini depending on the ingredients used. Sesame seeds are famous for their mineral content and are considered as one of the healthiest foods. Unhulled sesame seeds contain much more nutrients than hulled seeds — calcium, magnesium, copper, zinc, selenium, etc. Therefore it is a good idea to use unhulled seeds even if they have a slightly bitter taste. Sesame seeds have also a high content of fats and protein. The Suffolk Coast is an Area of Outstanding Natural Beauty. Here lies Lowestoft, the most easterly settlement of the UK and the Ness Point, Britain’s most easterly point. The Suffolk Coast is an 80 kilometers long coastline in Suffolk, England. It runs between Lowestoft and Felixstowe. Here is the Suffolk Coast Path, a long-distance footpath that runs along river and sea walls, across marsh, heath, foreshore and cliffs. Lowestoft is the most easterly settlement in the UK, a nice little port town that developed due to the fishing industry. It is one of the oldest towns of the country. The fisheries have declined and now the town is a center of renewable energy industry. Lowestoft is a seaside resort with wide, sandy beaches. The Ness Point is located in Lowestoft, close to the city center. Is is Britain’s most easterly point. It has a direction marker, marking locations in other countries and how far away they are from Ness Point. Here is located Britain’s tallest wind turbine. 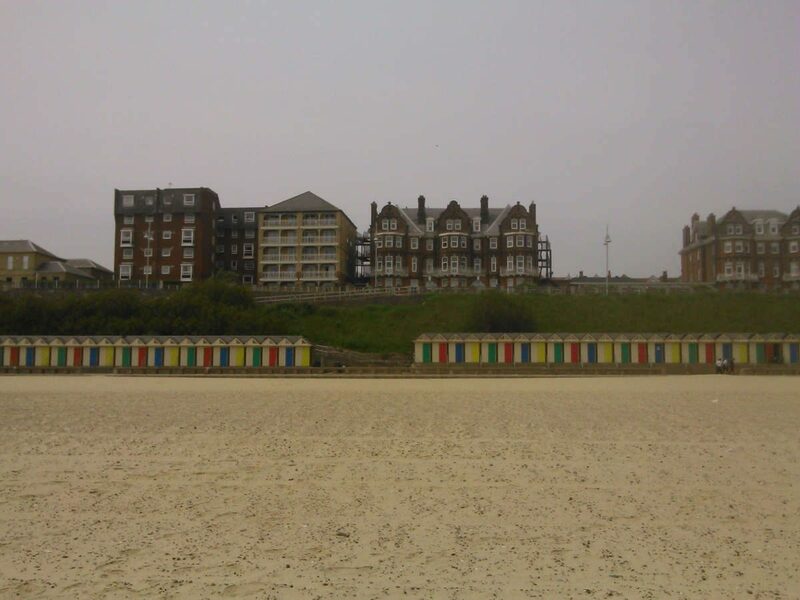 I have visited Lowestoft to walk along the Suffolk Coast Path for a few kilometers, to enjoy the beaches, to see the Ness Point and the city center. The following photographs and description will show what you can expect. 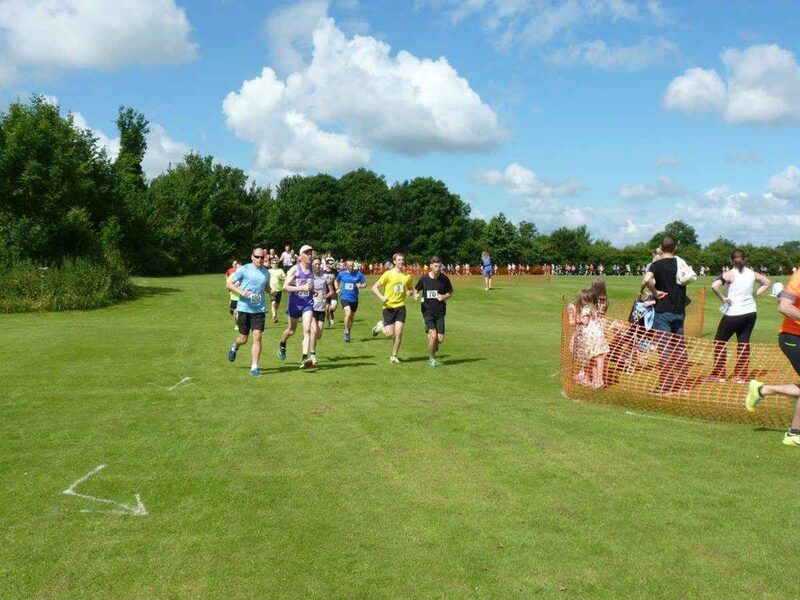 One of the biggest races in the UK in the heart of London. Arguably the most historic 10K route in the world. London 10,000 is one of the biggest running races in the UK where more than 12,000 people run in the city center of the British capital. It is organized by the same team who organize the London Marathon — and they did a great job. 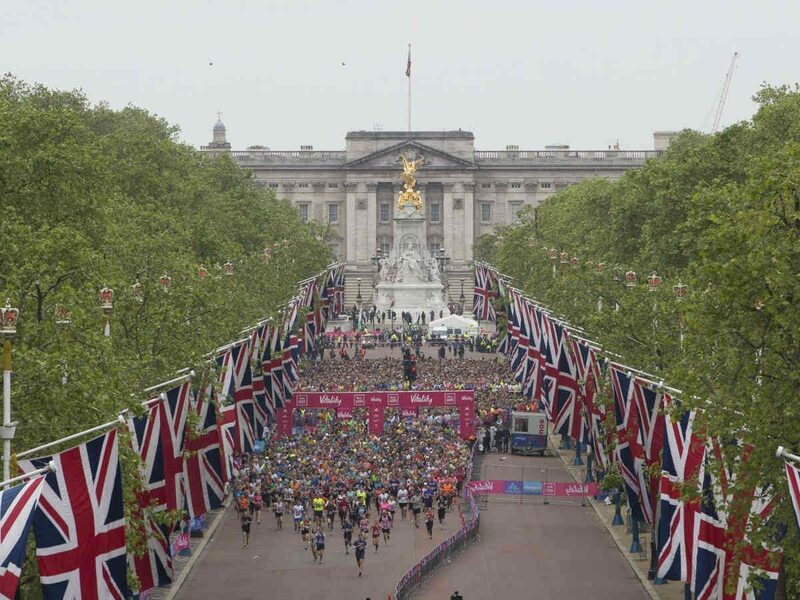 The race started at The Mall and the course followed a clockwise path through the city before returning to the Buckingham Palace. Along the way we run under Admiralty Arch and through Trafalgar Square, passing the column of Admiral Nelson, the Somerset House, the Aldwych Theatre, the Royal Courts of Justice, the Old Bailey, the Guildhall, the Bank of England, St. Paul’s Cathedral, Big Ben, the Houses of Parliament and St James’s Park. This was the most crowded race I have ever joined. I run as fast as I could and because I had to focus on the people around me I barely see any of these historical buildings during the race. Overall it was fun and I have almost run a personal best.